Salem is an upcoming crafting MMO for Linux which was recently previewed at Gamescom 2011. The game is highly inspired by H.P. Lovecraft style Gothic themes and features witchcraft and permadeath. We did a small write up about the game few months back which you can read from here. 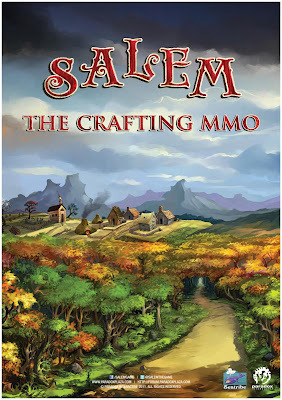 Salem is a cute-gothic blend of building, crafting and surviving mixed in with equal parts Edgar Allen Poe, H.P. Lovecraft and Alice in Wonderland. He did a 'Ask Me Anything' on Reddit and answered lots of questions about the game. Watch below new Halloween trailer and livestream footage of pre-alpha demo (ends at 23:52). Salem beta is expected to be released in few months with final release planned for Q2 2012.